They possess an enviable grace and purposefulness in their movement – in spite of their size. They demonstrate compassion for the less fortunate, the lost, and the fallen among them – something from which we humans can learn a lot. They don’t care that their butts are saggy and wrinkled. They know how to dive into a mud bath with glee and abandon (see video!) – no matter what their age, size, or weight (see video!). Though their inch-thick skin is for the most part rugged and hard as tan oak tree bark, right behind their ears their skin is velvet-soft to the touch. Their deep rumbles – their mode of communication – connects with the most primal part of you. It vibrates through your entire body. Once you’ve felt it, you can never forget. This list is just for starters. On to the project report! While the country was turned upside down with political events in January, my husband Greg and I had the opportunity to return to Africa to work with and support our beloved elephant rescue projects. As longtime supporters of the David Sheldrick Wildlife Trust (DSWT), our family of adoptees is growing. The need for the rescue projects and elephant orphanages is indeed a sad state of affairs, as the plight of the elephants is dire due to poaching for ivory and human-wildlife land conflict. Yet having the opportunity to be so close to these magnificent animals has been a life-changing experience for both of us. 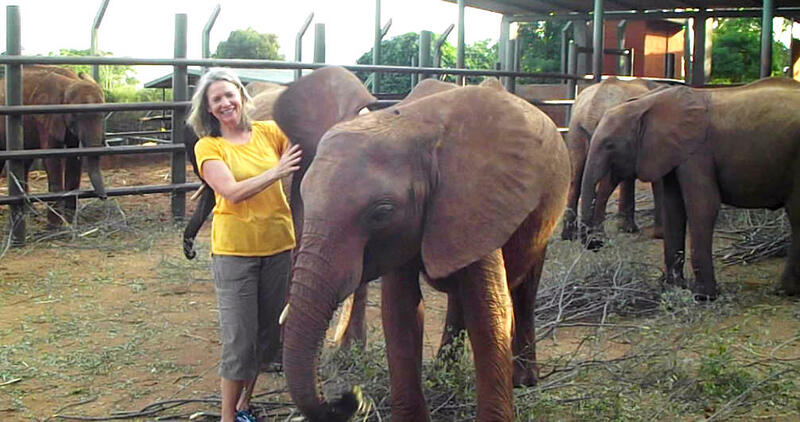 On our first trip to Kenya, I introduced you to our first adopted elephant Mbegu. At the time, she very young – under a year old – and brand new to the orphanage. Last year, on our second journey, I brought you up to speed with some film of Mbegu (along with the adventures of being tossed like a salad by a wart hog) . And now, our third trip (videos above and below), we are thrilled to see that Mbegu has taken a leadership role among the new, younger orphans. She tends to their needs, makes sure they are accounted for and treats them with the utmost affection! Next time we visit, Mbegu will probably have progressed to the ‘tweens’ orphanage location. Between years three and seven, the young elephants are rehabilitated to the wild, learning from their elders and the keepers who spend the days with them in the bush. At around seven years of age, the elephants begin to self-select staying out in the wild overnight instead of returning to the stockade. And wonderfully, this year we were able to spend time with some elephants that had progressed from new orphan to tween rehab to fully rehabilitated into the wild – and who would return to the stockades with their own newborn babies to share with the rest of the orphans and their keepers! Below, ex-orphans Galana and Wendi drop by the “tweens” stockade with her wild born babies Wiva, and Gawa. Each time we journey to Africa in support of the elephants we expand our itinerary to include another center of elephant rescue so that we can document elephant conservation progress in film and pictures and report back to you. 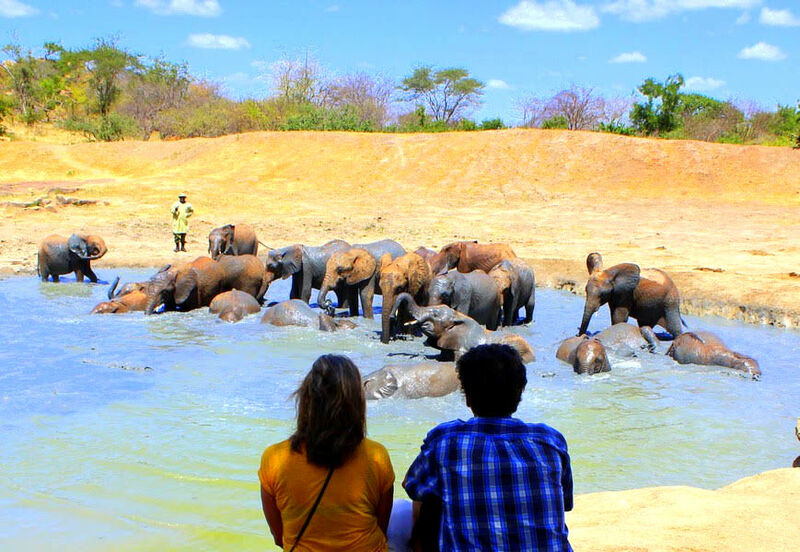 During this, our third trip – we had the privilege of spending time at all three centers of elephant rescue and adoption by the David Sheldrick Wildlife Trust. As foster parents of elephants, it’s been long enough now that we have even seen some of our young ‘ellies’ progress from new to the orphanage, to taking a leadership role among the youngers coming in, and progressing themselves to facilities for the elephant teens – a halfway house between orphan care and protection and return to the wild. In these movies, you’ll see footage from all three locations. We started off in Nairobi and the DSWT orphanage for elephants that have been rescued from dire situations in the wild. Many of them have been found grieving next to a dead mother who has been shot with poison dart, trapped in a snare, or otherwise killed in an ivory poaching incident or killed due to elephant-human land conflict. As human sprawl advances, the elephant habitat is increasingly gobbled up into farms or land grazing acreage for grazing cattle. Humans construct wells for water for livestock, which baby elephants can fall into. Even though their mothers and aunties can sometimes work together with their trunks and legs to scoop the baby elephant out of the well, often the situation is too difficult and the herd must move on, grieving the baby left behind as they migrate for food and water. When the Sheldrick team is alerted, they send rescue teams by land or air.. Sometimes it involves cutting the snare off the leg of a grown elephant to release them, as shown in the video. Other times it is saving the baby elephant from abandonment in a water well. If it is impossible to keep the baby elephant in the wild – if its mother is nowhere to be found or has been killed – or the baby is at deep risk of dying themselves without human intervention – the baby is driven or flown to the orphanage in Nairobi to be cared for, nurtured back to health, and join the other two dozen or so young elephants being cared for in the nursery. There they are closely cared for by their well-trained keepers, who give them bottle-fed milk several times a day (for the infants, coconut-based formula), supervise a few hours out in the bush to learn foraging and in-the-wild exposure and training, and back to the orphanage to spend the night in protected stalls with their keepers who also feed them as needed through the night. When the orphans reach the age of about three, they are relocated to one of two stockades – Voi and Ithumba – in other locations in Kenya’s national forests. Their the reunite with other orphans who have graduated to the stockades before them and also meet many of the wild elephants that come to splash in the mudholes and linger at the stockades for the ‘tweens’, who also receive milk formula (soy based) now three times a day. Here they will still spend nights in protected areas, yet during the day their range of adventure is bigger. They have lots of opportunities to mix with the wild elephants including ex-orphans who have graduated to the wild and others who have been wild from birth. And sometimes, ex-orphans return to visit with their wild-born young. A testament to the success of the Sheldrick program, these numbers and increasing. Though poaching and elephant-killing for other reasons is still deeply serious business, this program and the robust poaching patrol that the Sheldrick Trust has implemented have made a huge difference for the survival of the elephants. Midway through this third excursion to Africa on behalf of the elephants, the Ringling Bros. decision to stop circus performances hit the news. Much of the work done to unravel this deeply disturbing venue that exploits animals has been focused on the plight of the elephants. Way overdue, as one who has had the privilege of engaging with elephants closely on many occasions, both in elephant orphanages and in wild settings, this switch comes as great relief. As happy as I am to hear about the Ringling Brothers circus venture collapse, I was dismayed to discover that the elephants that will be released from the slavery of their circus days will be absorbed into cancer research. According to the experts we spoke with, elephants don’t get cancer. Elephants’ cells contain forty copies of a major cancer-suppressing gene called p53. Humans have just two – one from each parent. The gene helps damaged cells repair themselves or self-destruct when exposed to cancer-causing substances. In other words, humans once again treating animals as objects – this time intentionally inflicting damage to them for our own benefit. 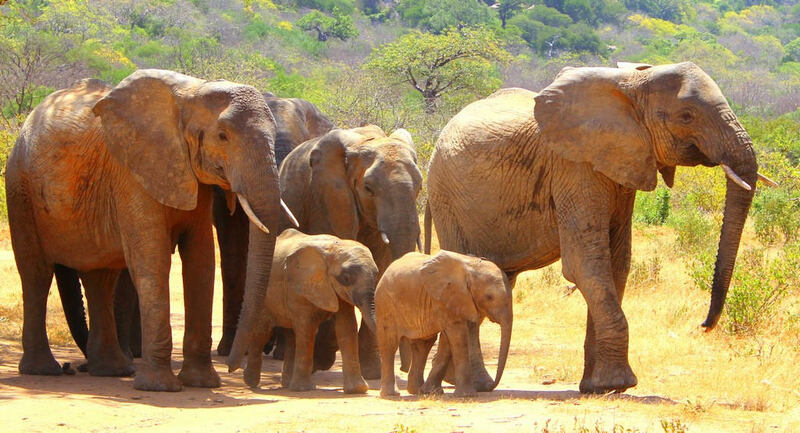 Elephants possess a deep sense of family and community. They can’t be moved around on the human game board like playing pieces. Their emotional connection to each other, loyalty to friends, kindness to those less fortunate than they and pure joy of living demand more than this. I have been witness on multiple occasions to an entire group of elder female elephants – the females stay together for life, mothers daughters and aunties all living and traveling together – falling into formation around a young elephant in protection, all facing outward with their tusks as the young pachyderm stays safe and protected in the center. I have personally witnessed elephants going out of their way to care for their less fortunate acquaintances. For example, at the tween stockades one of the more experienced orphans – our own Naipoki (photo left)- was passing branches and leaves through the walls of her night stalls to a neighboring elephant who was in a separate stockade recovering from injury. Naipoki had herself been rescued at the very young age of three months when she had fallen into a well and before help arrived, predators had even started to gnaw on her tender trunk. I have seen young elephants wait for one of their own who has a digestive problem, making it necessary for her to eat much more slowly than the rest – but they waited for her to finish before heading down to the water hole. These actions demonstrated compassion, care, and community. Can you tell I’m missing the elephants? Once they, and Africa, get into your blood, there’s a new world from the old world that opens up to you. I hope you enjoy these videos, and thank you to dear Greg for making them! This is wonderful! I am so glad you took all these pictures and even more that you shared it here. I learned a lot and the elephants are so precious. Can I ask how you go about adopting or fostering them? I am so glad to read your note! Your response is deeply appreciated. You can find out more about fostering elephants and other wildlife at the David Sheldrick Wildlife Trust page. It’s only $50 a year per animal and they send you regular updates about your young ‘un! Let me know if you end up diving in – and who your ‘kid’ is! Loved your videos and experiences! My husband and I lived in a small village in Kenya for several months after climbing Mt. Kilimanjaro. We were there to help with humanitarian projects. We were lucky to be able to visit many of the national game parks, including Tsavo. I shed many tears watching your beautiful videos about the elephants and what they go through. Thanks for sharing! Also, if you were heading to Seychelles, does that mean you got to go scuba diving?? I would LOVE to hear about that. We are headed next week to Cuba to dive there and I can’t wait! I love hearing about your adventure! How was living in Kenya? I love so much about it. It really surprises one by feeling like ‘home’ from the first breath of Nairobi air, doesn’t it? I’ve fantasized about moving there…not the city, but out to the wilds. If for no other reason than to be nearer to the dear ellies. Your comments of tears are taken to heart. This should be everyone’s response, if I do say so myself! At the Seychelles, we didn’t dive – didn’t want to haul our gear all that way, and there are strick weight requirements on the airplane out there. There was plenty to do with navigating the birds and the tortoises and sea turtles! We’re going back later this year for the sooty tern nestings, and also back to Africa for the elephants and the gorillas. Cuba diving! Wow! Please report back in, promise! Loved the videos, they are so moving and informative. I enjoyed the journey with you through the maps and listening to the soothing music, very well done, thank you for sharing your experience. Your comments mean the world to me. Thank you for taking the time to share your heartfelt, lovely and appreciative thoughts! You’ve made my morning! 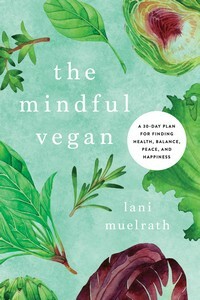 The Mindful Vegan Book Full Audio Version Is Released! Never Thought This Would Be on My Resume: VegWorld Magazine Mindfulness Issue Cover Girl? 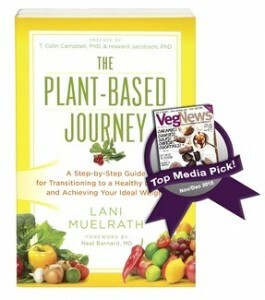 Sign up here to receive the Introduction and Chapter 1 of The Plant-Based Journey for FREE! 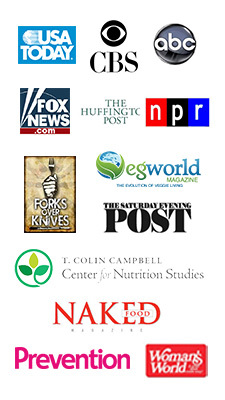 Thanks for signing up - your Free Intro and Chapter are on the way! Join our mailing list and receive juicy news, updates and insider tips. Get juicy news and updates!